There's an ocean of discovery to experience at Niagara's other "wet wonder," the Aquarium of Niagara. 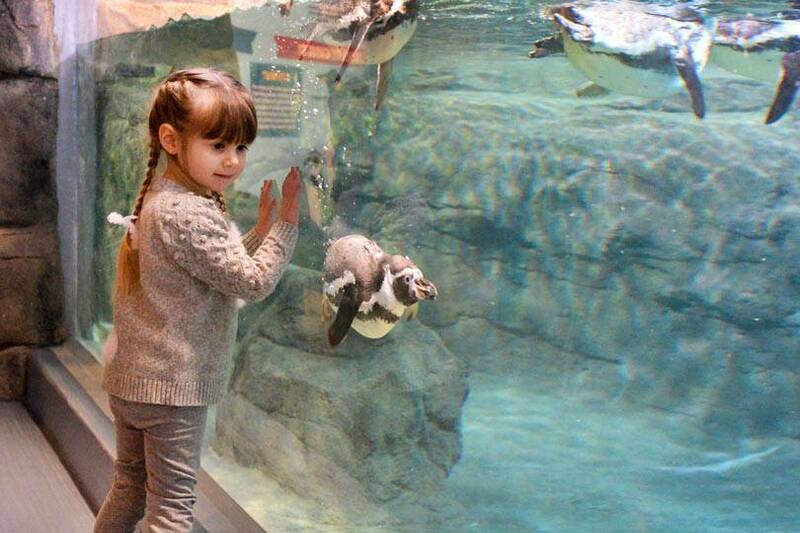 An excellent addition to any Niagara Falls trip, the aquarium has over 30 exhibits including the new Penguin Coast exhibit, 200 aquatic animal species, and daily penguin, shark and tidal pool feedings for people of all ages to enjoy. 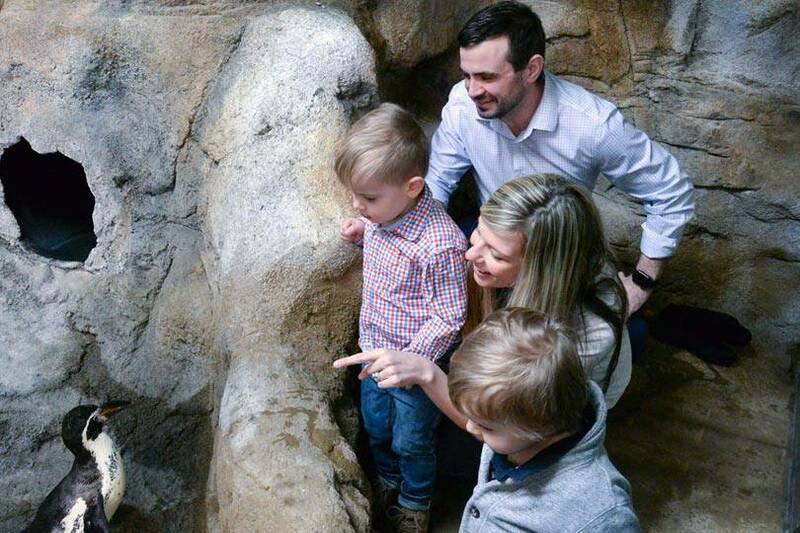 Accessible by our in-park trolley or a leisurely stroll long our trails, the Aquarium of Niagara has educational exhibits that encourage animal conservation and the highest quality of animal care. Outside, visitors can enjoy the vibrant life-sized painting of a whale, known as the Whaling Wall, created by famed environmental marine life artist Wyland. The Whaling Wall offers a glimpse of the underwater world waiting inside the Niagara Falls aquarium. or as part of the value-added Niagara Falls USA Discovery Pass, which is available seasonally. Even though summer is over, you can embrace the beauty of Niagara Falls State Park and see the Falls 365 days a year. It's open year-round! Penguin Coast is an exciting Humboldt penguin exhibit at the Aquarium of Niagara that was added in 2018. 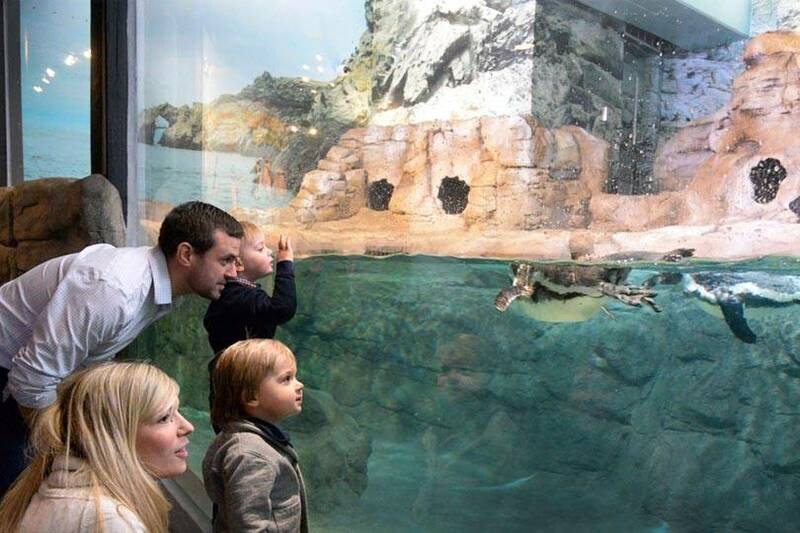 It adds interactive features and programming to the highly-popular attraction, while providing a state-of-the-art habitat for the colony to grow to more than 20 Humboldt penguins. 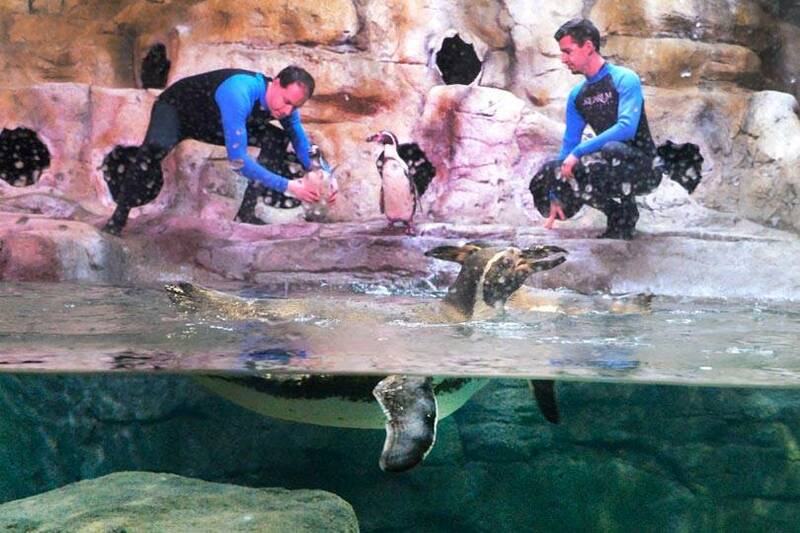 It is quadruple the size of the Aquarium’s previous penguin exhibit. Did you know? 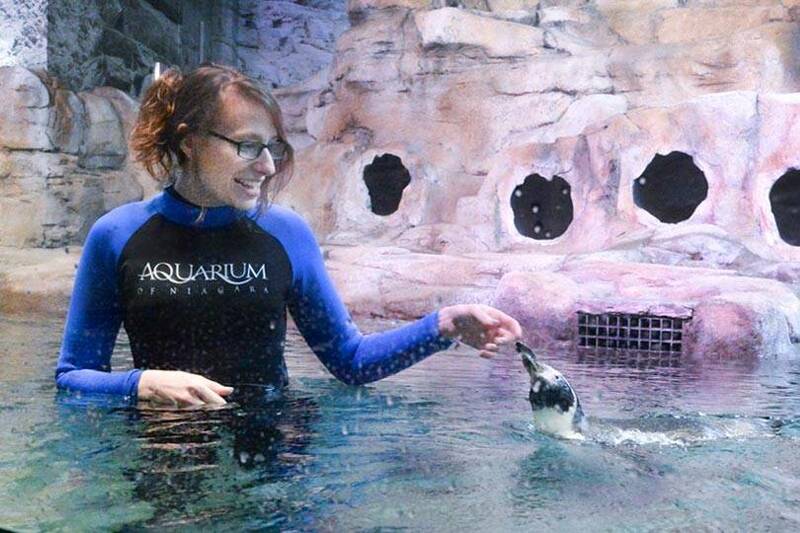 The Aquarium of Niagara is one of only 20 facilities in the United States and Canada to house Humboldt penguins, which is a threatened species. 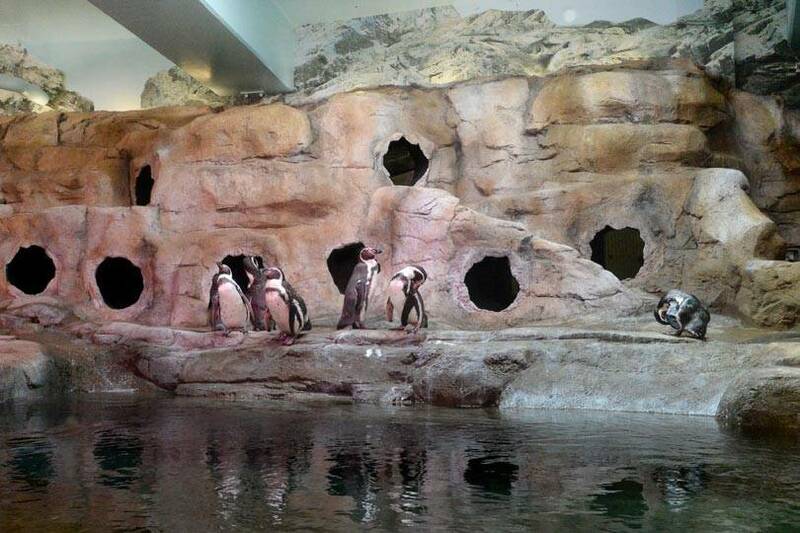 Learn more about Penguin Coast and the Aquarium of Niagara. Aquarium of Niagara honors Children 5 and under FREE with Discovery Pass. Note: Last admission is 30 minutes prior to closing. 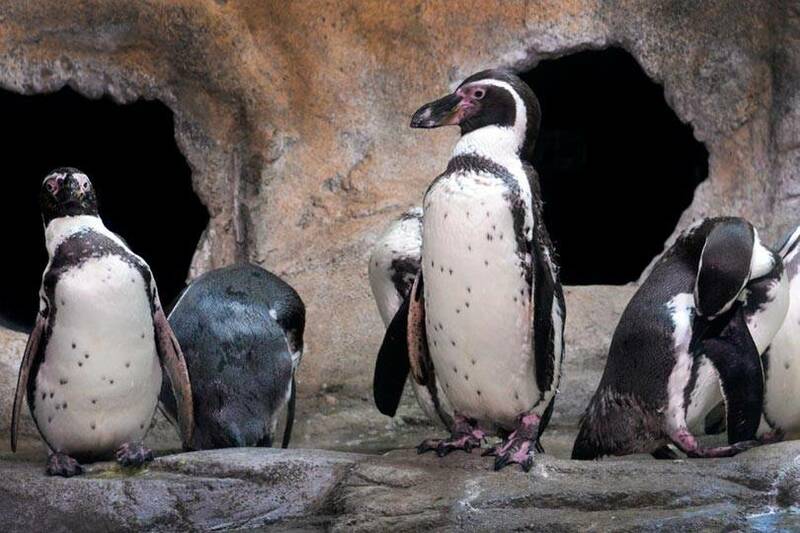 View photos of the Aquarium of Niagara's Humboldt penguins!